Following the recent Climate Change report released by the Intergovernmental Panel on Climate Change, the issue of climate change has become infinitely more urgent. If we continue with our current trajectory, we are left with 12 years to curtail the effects of Global Warming or else we will be faced with severe consequences that impact the entirety of the population. To prevent our climate from spiralling into catastrophe, global temperatures must be capped at a 1.5 degrees celcius increase, and if measures not are taken to prevent the issue from exacerbating, the state of our environment will continue to deteriorate rapidly. Every fraction of a degree contributes to further damage, and if we continue to emit carbon emissions at the current rate and continue to mindlessly consume products that we don’t require, then to say the least: our planet is doomed. However, before we jump to the conclusion that we have sent ourselves into a hopeless state of misery, we must adopt a mindset of optimism. If everyone contributes towards lessening the problem, it can easily be tackled. The question of how to reverse the impact of climate change is no longer a concern, but it has shifted to the question of when. And that Climate Change report released by IPCC is a stark wake up call that this when? is NOW. You’ve all heard this before: save water, turn off the lights when you’re not in the room, walk or bike instead of taking public transport, ride a train instead of the plane. All of these, when added up, amount to a significant reduction in carbon emissions and reduce your overall impact on the environment, however, at this point in time, these small efforts are not going to be sufficient. Thankfully, there is an alternative solution: it has been repeatedly reported by scientific evidence that the most effective way to reduce your carbon footprint is simply by reducing your meat intake. Now, before you close this article to avoid facing the harsh reality that you should eat fewer animal products, I want to clarify that NOBODY IS TELLING YOU TO TURN VEGAN. Almost every vegan I have encountered both on Instagram and in real life can agree that this is not about transforming everyone into militant vegans. 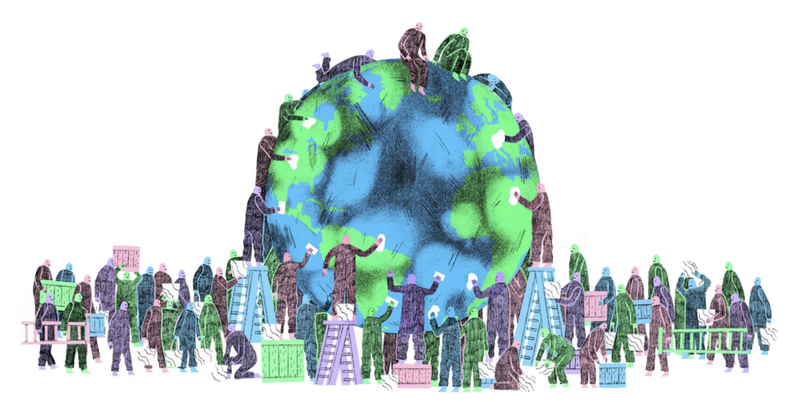 This is a global problem that requires a global approach, and if we can’t count on world leaders to implement change, it is up to us, as individuals, to take action. There is a minor difference between the carbon footprints generated by pescatarians, vegetarians, vegans, and even ‘low meat eaters’, meaning that in the long-run, every effort counts. Be it cutting out beef from your diet, practicing Meatless Mondays, eliminating meat from one meal every day, or choosing the veg option over the meat one when ordering at a restaurant, as long as you are making conscious decisions to minimize your meat intake, you are already playing a role in improving the condition of our environment. Consuming less meat on a daily basis is gradually becoming a means of survival, and if we want to ensure a healthy environment that may sustain into the future, it is the best solution. By reading this article, you are already one step ahead of those who deny climate change as a legitimate phenomenon, and you are demonstrating an admirable awareness towards the current situation we face. Please, for the sake of our planet, for the sake of our wellbeing, and for the sake of our future, make a conscious effort to play your part in ensuring a liveable habitat for ourselves and for later generations. It is up to everyone to prevent the acceleration of climate change, and ultimately (and as Gandhi would agree), why not be the change you wish to see in the world?